How to use geofencing to our advantage? Geo-fencing is not a new concept but I don't hear lot of people talking or using it. So let us first start with the basics. What is Geo-fencing? 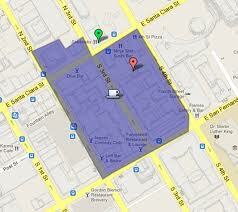 A geo-fence is a virtual perimeter for a real-world geographic area..Example of geofence of shopping boundaries. A Geo-fence could be dynamically generated—as in a radius around a store or point location. Or a Geo-fence can be a predefined set of boundaries, like school attendance zones or neighborhood boundaries. Custom-digitized Geo-fences are also in use. Geofencing combines awareness of the user's current location with awareness of nearby features, defined as the user's proximity to locations that may be of interest. To mark a location of interest, you specify its latitude and longitude. To adjust the proximity for the location, you add a radius. The latitude, longitude, and radius define a geofence. You can have multiple active geofences at one time. Location Services treats a geofences as an area rather than as a points and proximity. This allows it to detect when the user enters or exits a geofence. For each geofence, you can ask Location Services to send you entrance events or exit events or both. You can also limit the duration of a geofence by specifying an expiration duration in milliseconds. After the geofence expires, Location Services automatically removes it. But then with so many apps, we need not have to create a geo-fence manually by putting the longitute and latidue. We just have to drag & create our points for fencing and connect them to create a square, polygone, rangatangle, etc. and bingo we have a geo-fence. How we use this information depends on our imagination!!! For e.g. using NFC Task Launcher, even if someone does not have an NFC enabled phone can use the geo-fencing feature and change the phone profile (like ringtone, volume, tougle wifi, bluethooth, etc), email or text someone the moment phone enters or exits the geo-fence. Like, if I enter the fenced area - i can text or email automatically to anyone or change change my FB status or can start an app on my phone. One can do a search "geo-fence" at Google Play to find many application related to it. 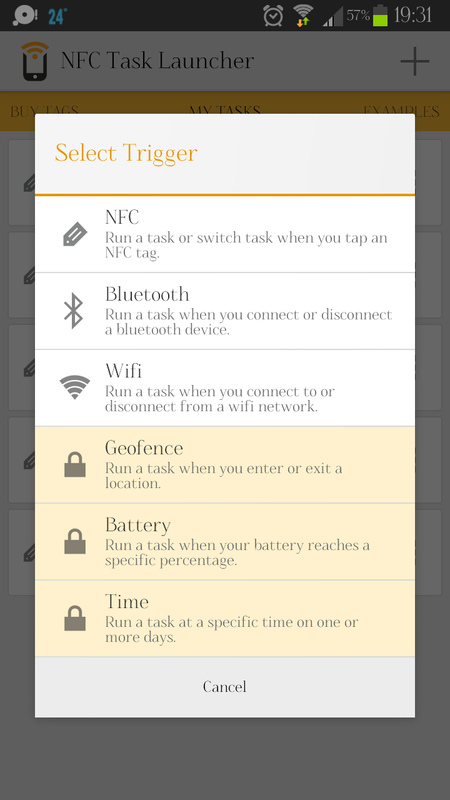 However, i strongly recommend NFC Task Launcher to start with!